Learn to be savvy with frequent flyer miles! If you haven’t already, you’ll quickly find out that signing up for credit cards is one of the easiest ways to earn frequent flyer miles and hotel points. For example, let’s say that you have an American Airlines card in your wallet that you signed up for three years ago. In order to earn 50,000 miles through the card (currently enough for a Business Class one-way ticket to Europe) you’d need to spend $50,000. I don’t know about you, but I’m not rich, and I don’t spend that much money on my credit card in a year. Another way to earn the same amount of points would be to sign-up for an American Airlines card from Citibank for which you need to spend $3,000 in 3 months and then you’ll receive 50,000 miles. If your typical credit card spending is $1,000 per month you can see how you might be able to get four credit cards per year with $3k/3mo requirements and earn ~200,000 airline miles. This level of spending would only generate 12,000 points at 1x earnings or 24,000 at 2x earnings in bonus categories. 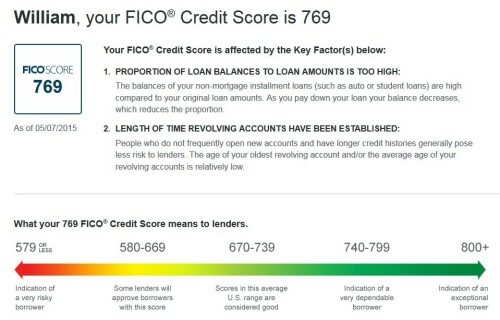 How do I check and monitor my credit score? What credit score should I have to apply for these credit cards? How do credit card applications affect my credit score? Should I cancel my old credit card before opening a new one? What should I do when the annual fee comes due? As you can see, FICO places a heavy emphasis on your payment history (making payments on time) and the amounts owed (credit utilization). If you pay your debts on time and keep your debt to a minimum (mortgage and student loans don’t penalize you in the same way that credit card debt does) then you’re already well on your way to a great score. The next most important is length of credit history, which is largely out of your control at this point. Either you have years and years of credit history at this point or you don’t. One of the major ways they calculate this is Average Age of Accounts which factors in the age of all of your accounts. I’ll get to this a bit later, but this is why it’s good to keep open old credit cards that don’t have annual fees. Monitoring your credit score is vital to obtaining large sums of frequent flyer miles. Without credit card monitoring you might be missing errors in your credit report that are negatively affecting your credit and you might also be applying for credit that you won’t be approved for. Don’t bother paying for a premium credit monitoring service – the free methods for monitoring your credit will do just fine. CreditKarma will monitor changes to your TransUnion credit report and will provide you with a FAKO score, which is basically an approximation of your TransUnion FICO score. CreditSesame will do the same, but for your Experian report. Both services are completely free so it makes sense to sign up for both. You can also retrieve your credit report directly from each of the three bureaus for free once per year as mandated by law from AnnualCreditReport.com. Unfortunately they’re only required to provide your credit report – you’ll have to pay extra for your score! 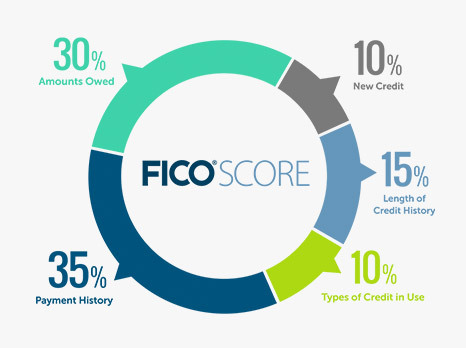 Here’s an example of the FICO score Discover provides – a great benefit! What credit score do you need to get approved for a card? I hate it when an answer is “it depends”, but in this case that’s the best answer. Different issuers have different requirements, and requirements can vary by card. One of my favorite sources for approval information is CreditBoards.com. The way the search works is that you should input the creditor you’re interested in and select your state. Looking at Chase approvals you’ll probably see that 680+ is the trend for approved cards with them. American Express tends to trend a bit higher than that but not too much. 650-700 overall is a bit iffy for approval and can be hit or miss. 700+ should net you approval assuming you don’t have too many recent inquiries. 740+ is ideal and with a score higher than that you shouldn’t run into many issues. There’s no concrete number that will work for everyone, but those are some general guidelines. If you want more data on the score needed for particular cards but don’t want to browse through CreditBoards I highly recommend this post from Drew over at TravelIsFree. His posts are always top-notch and he spent the time scouring the CreditBoards so that you don’t have to. Beyond your score, your existing relationship with the bank will impact their decision. You’re more likely to get approved for a card with a bank that you already have a bank account with. It may also surprise you to know that this is also the case with credit cards – a bank with which you already have a credit card is more likely to extend you another credit card in most cases, assuming you don’t have too much credit with them. But we’ll leave approval strategies and specific bank details for another post. Each time you apply for a credit card the bank will obtain a copy of your credit report and this inquiry will show on your report for other creditors to see. Most credit cards companies will only pull from one bureau, whether it be Equifax, Experian, or TransUnion. CapitalOne will pull from all three bureaus, which should make you think long and hard about applying for a card from them. The reason why this matters is that each inquiry will temporarily “ding” your credit. However, most people overestimate the impact of this. In general, an inquiry is going to temporarily decrease your score by 3-5 points. So if you apply for three credit cards and each bank pulls from a different bureau, your score with each will only decrease a few points. If they all pull from the same bureau then your score with one bureau will take a bigger hit and the others will largely be unaffected. While it may seem bad to decrease your score, this ding is temporary. After a few months its impact is significantly lessened and after a year the inquiry makes no difference. The count of recent inquiries is considered to be a minor factor in your score and I wouldn’t worry too much about the short term effects as long as you’re not going crazy with your applications. Plus, each new credit card ultimately helps your score by increasing the number of accounts and decreasing your credit utilization at any given time by increasing your total credit limits. I’ve had friends ask me if they should cancel their old credit cards before getting a new one… don’t do it! Average age of credit is an important factor when it comes to your credit score so keeping those old credit cards is helping your credit, not hurting it. The only reason to cancel a credit card is because it has an annual fee and the benefits of keeping the card do not outweigh the annual fee. I’m a personal finance nerd so I could go on and on about credit scores and all of the various myths surrounding your credit score. The bottom line is that your credit score is not an indicator of financial success or wealth, but a metric lenders use to assess how well you have used debt in the past and how likely you are to use it well in the future. Obtaining a loan or credit card and paying it back is what banks want to see. Credit card applications will only negatively impact your score in the short run and it’s pretty minimal. In the long run, your new credit card will help to increase your score. Regardless of the rewards you can earn from credit cards, you’re losing if you carry a balance on your card and are paying interest so make sure that any spending requirements fit within the parameters of your personal financial situation. Please post below in the comments if you have any questions and I’d be glad to help in any way I can! I’m Will, the creator of SavvyMiles. My wife and I have managed to travel the world, visiting counties like South Africa, Jamaica, France, Italy, China, Spain, Australia, and others! Traveling the world isn’t something that you need to wait until you’ve retired to do and you also don’t need to spend a bundle of cash to make your traveling dreams a reality. Practically free travel is attainable by anyone but it can be a confusing process. I strongly believe that anyone can take one international trip for free each year using the information on this website without too much effort. 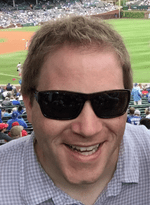 My goal isn’t to help you earn millions of airline miles (although this information can be leveraged to do so) – it’s simply to help you to take an international trip and maybe a few domestic trips for pennies on the dollar each year. If you have any questions at all please post a comment and I'd love to help. I'm a travel nerd and I enjoy this stuff.